It’s no secret that China’s growth in the past few decades has been reflected in space. In addition to the country’s growing economic power and international influence, it has also made some very impressive strides in terms of its space program. This includes the development of the Long March rocket family, the deployment of their first space station, and the Chinese Lunar Exploration Program (CLEP) – aka. the Chang’e program. Given all that, one would not be surprised to learn that China has some big plans for 2018. But as the China Aerospace Science and Technology Corporation (CASC) announced last Tuesday (on January 2nd, 2018), they intend to double the number of launches they conducted in 2017. In total, the CASC plans to mount over 40 launches, which will include the Long March 5 returning to flight, the Chang’e 4 mission, and the deployment of multiple satellites. In 2017, China hoped to conduct around 30 launches, which would consist of the launch of a new Tianzhoui-1 cargo craft to the Tiangong-2 space lab and the deployment of the Chang’e 5 lunar sample return mission. However, the latter mission was postponed after the Long March 5 rocket that would have carried it to space failed during launch. As such, the Chang’e 5 mission is now expected to launch next year. That failed launch also pushed back the next flight of Long March 5, which had conducted its maiden flight in November of 2016. In the end, China closed the year with 18 launches, which was four less than the national record it set in 2016 – 22 launches. It also came in third behind the United States with 29 launches (all of which were successful) and Russia’s 20 launches (19 of which were successful). Looking to not be left behind again, the CASC hopes to mount 35 launches in 2018. Meanwhile, the China Aerospace Science Industry Corporation (CASIC) – a defense contractor, missile maker and sister company of CASC – will carry out a number of missions through its subsidiary, ExPace. These will include four Kuaizhou-1A rocket launches in one week and the maiden flight of the larger Kuaizhou-11 rocket. In addition, Landspace Technology – a Beijing-based private aerospace company – is also expected to debut its LandSpace-1 rocket this year. In January of 2017, Landspace signed a contract with Denmark-based satellite manufacturer GOMspace to become the first Chinese company to develop its own commercial rockets that would provide services to the international marketplace. But of course, the highlights of this year’s launches will be the Long March 5’s return to service, and the launch of the Chang’e 4 mission. Unlike the previous Chang’e missions, Chang’e 4 will be China’s first attempt to mount a lunar mission that involves a soft landing. The mission will consist of a relay orbiter, a lander and a rover, the primary purpose of which will be to explore the geology of the South Pole-Aitken Basin. These studies will play a key role in China’s long-term plans to mount crewed missions to the Moon, and the possible construction of a lunar outpost. In recent years, China has indicated that it may be working with the European Space Agency to create this outpost, which the ESA has described as an “international Moon village” that will be the spiritual successor to the ISS. The proposed launch of the Long March 5 is also expected to be a major event. As China’s largest and most powerful launch vehicle, this rocket will be responsible for launching heavy satellites, modules of the future Chinese space station, and eventual interplanetary missions. These include crewed missions to Mars, which China hopes to mount between the 2040s and 2060s. According to the GB times, no details about the Long March 5’s return to flight mission were revealed, but there have apparently been indications that it will involve the large Dongfanghong-5 (DFH-5) satellite bus. In addition, no mentions have been made of when the Long March 5B will begin conducting missions to Low Earth Orbit (LEO), though this remains a possibility for either 2018 or 2019. 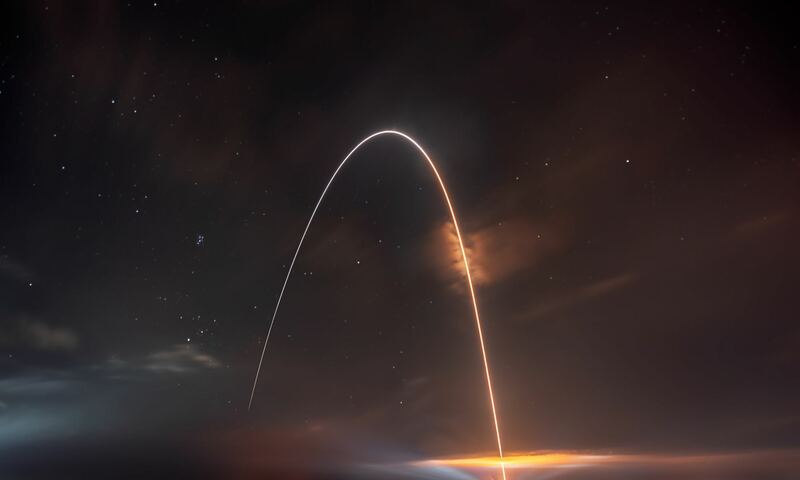 Other expected missions of note include the deployment of more than 10 Beidou GNSS satellites – which are basically the Chinese version of GPS satellites – to Medium Earth Orbits (MEOs). A number of other satellites will be sent into orbit, ranging from Earth and ocean observation to weather and telecommunications satellites. All in all, 2018 will be a very busy year for the Chinese space program! One of the hallmarks of the modern space age is the way in which emerging powers are taking part like never before. This of course includes China, whose presence in space has mirrored their rise in terms of global affairs. At the same time, the Indian Space Research Organization (IRSO), the European Space Agency, JAXA, the Canadian Space Agency, the South African Space Agency, and many others have been making their presence felt as well. In short, space exploration is no longer the province of two major superpowers. 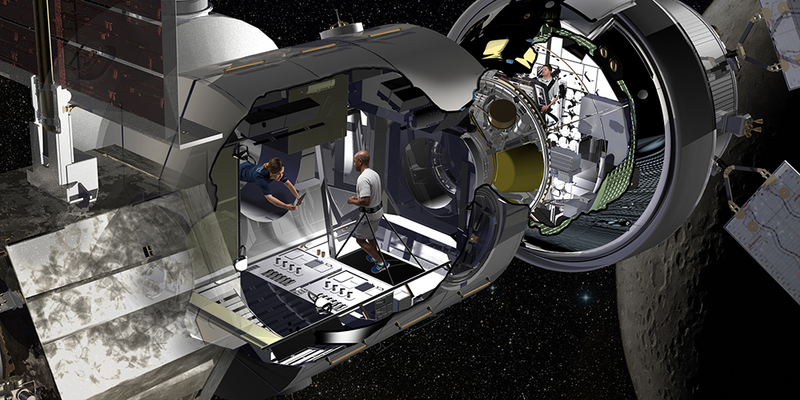 And in the future, when crewed interplanetary missions and (fingers crossed!) the creation of colonies on other planets becomes a reality, it will likely entail a huge degree of international cooperation and public-private partnerships. Looking to the future of space exploration, NASA’s priorities are sometimes subject to change. In 2004, the Bush administration released it’s “Vision for Space Exploration“, which called for the development of rockets that would return astronauts to the Moon. This policy was later replaced by the NASA Authorization Act of 2010, which outlined plans to send humans to an asteroid by 2025 and to Mars in the 2030s. Earlier today, on Thursday, October 5th, Vice President Mike Pence and several members of the Trump administration announced that their priorities have shifted once again. Instead of proceeding with NASA’s proposed “Journey to Mars“, the administration has set its sights on once again mounting crewed missions to the Moon and establishing a permanent presence on the lunar surface. The announcement came during the inaugural meeting of the National Space Council, the newly-reestablished executive group that will be guiding US space policy in the coming years. Originally established in 1989 by then-president George H.W. Bush (and disbanded in 1993 by the Clinton administration), this council served the same purpose as the National Aeronautics and Space Council – which oversaw space policy between 1958 and 1973. The meeting, titled “Leading the Next Frontier: An Event with the National Space Council“, took place at the Smithsonian National Air and Space Museum’s (NASM) Steven F. Udvar-Hazy Center in Chantilly, Virginia. The meeting was chaired by Vice President Mike Pence with the participation of NASA Administrator Robert Lightfoot, and was attended by Trump Administration cabinet members, senior officials, and aerospace industry leaders. “It is altogether fitting that we chose this week for the first meeting of the National Space Council. Yesterday marked the 60th anniversary of Sputnik, that 184-pound satellite that changed the course of history. On that day, six decades ago yesterday, the race for space began and the then-Soviet Union took an early lead. But the sight of that light blinking across that October sky spurred America to action. We refused to accept a future in space written by the enemies of freedom, and so the United States of America vowed to claim our rightful place as the undisputed leader in the exploration of the heavens. And twelve years later, with “one giant leap for mankind”, America led in space. Moving to the present, Pence indicated that the reestablishment of he National Space Council would put an end to the ways in which space exploration has stalled in recent decades. He also indicated how a return to the Moon – a goal which diminished in important in the post-Apollo era – would recapture the spirit of the past and reinvigorate modern space exploration. A renewed mission to the Moon, claimed Pence, will put an end to decades in which not a single NASA astronaut has ventured beyond Low Earth Orbit. He further indicated how after the retirement of the Space Shuttle Program, the US has been dependent on Russia to ferry astronauts to the International Space Station. He also voiced criticism for the Obama administration, claiming that it chose “capitulation” when it came to the space race. While this new policy technically represents a break from the policy of the Obama administration, and a return to the policy of the Bush administration, Pence emphasized that returning to the Moon would be a stepping stone towards an eventual crewed mission to the Red Planet. This announcement also put an end to months of ambiguity regarding the Trump administration’s space policy. In the past, VP Pence has spoken about the need to return to the Moon and puts boots on Mars, but nothing definitive was said. This ambiguity, it is worth noting, has also been a source of anxiety for those at NASA, who were unsure about the future budget environment. And while this meeting did indicate that the Trump administration has a policy, many aspects of it were already in place before the administration took office. Much of the details discussed at the meeting were already established as early as last September. It was at this time that the NASA Transition Authorization Act of 2016, a provisional measure that guaranteed short-term stability for the agency by allocating $19.5 billion in funding for NASA for fiscal year 2017. Intrinsic to the Act was the cancellation for the NASA’s Asteroid Robotic Redirect Missions (ARRM) in favor of a more cost-effective alternative. Lighfoot also reiterated what Pence said during the meeting, how renewed missions to the Moon would ultimately assist NASA’s efforts to mount crewed missions to Mars. 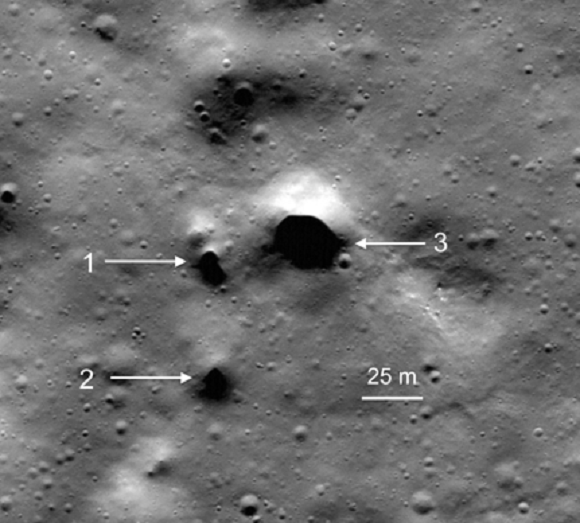 These included the importance of cis-lunar space to the exploration of both the Moon and the Mars, as well as its use as a proving ground for future mission to Mars and beyond in the Solar System. While this latest announcement does confirm what many have suspected for some time – that the Trump administration would prioritize lunar exploration – much ambiguity remains. While Pence emphasized that the re-establishment of the NSC was intrinsic to restoring American leadership in space, very little appears to have changed since the NASA Transition Authorization Act of 2016. What’s more, despite Pence’s claims of “capitulation” on behalf of the Obama administration, much of the current administration’s policy represents a continuation of the NASA Authorization Act of 2010. These include the use of the Space Launch System (SLS), the Orion spacecraft, and the restoration of domestic launch capability. In short, much of the Trump administration’s plans to restore American leadership in space are piggybacking on the accomplishments of the Obama administration. Beyond that, the creation of the Deep Space Gateway appears unaffected, since its existence is central to both renewed mission to the Moon and for crewed missions to Mars. And the long-term plan for the exploration of Mars appear to still be intact. So in many ways, this latest announcement is not much in the way of news, but also good news.